Facebook has just announced that it has acquired Instagram for approximately $1 billion in cash and Facebook stock. This was fairly shocking news to the industry as Instagram had just raised $50 million at a valuation of $500 million, which means the venture capital investors instantly doubled their money. The investment seems to have been aimed at driving up Facebook's valuation of Instagram. But is that valuation justified? Instagram is the popular photo sharing app with 30 million iOS users, that was just released on Android, picking up another 1 million users on launch day. Looking at this trajectory, Instagram is well on its way to a 50+ million user base. But even looking at these numbers, $1 billion is a lot to pay for a company with practically no revenues. And since there are no revenues, we cannot justify the valuation in terms of financial multiples. Even with a user base of nearly 30 million, the valuation comes out to nearly $33 per user, which seems like an awful lot. In addition to the high valuation, some users seem to be alienated by the move and have started deleting their accounts. Granted, this is probably a very small proportion of Instagram's user base, but since the user base is all it has, it's worth mentioning. Even with these downsides, this deal holds significant strategic value for Facebook. Facebook still does not make any revenue from the mobile segment. Considering the sheer number of Facebook users that use mobile access to Facebook and the way the technology sector is moving forward, this is a significant weakness. Even though Instagram does not give Facebook an immediate revenue boost, its user base can be monetized more easily than that of Facebook. Facebook hasn't won any laurels for the app development skills so far, and mobile ads would have diminished that experience even further. Now Facebook can integrate Instagram with their services and possibly work closely with them in re-designing the Facebook app as well. 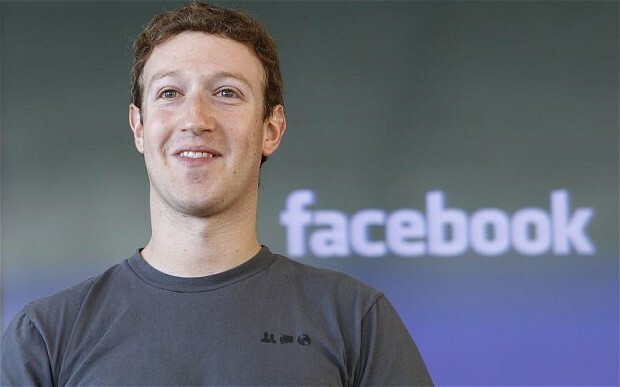 The upcoming Facebook IPO is possibly the biggest reason for this deal. The fact of the matter is that at this point, Facebook's future growth was a little murky to potential investors. With the advent of tablets & smartphones, Facebook still had no way to monetize that traffic. This acquisition signals to potential investors that Facebook is serious about expanding into the mobile space. With Facebook's IPO right around the corner it was imperative to close this deal and close it early, which is probably one of the biggest reasons for the high valuation. Google has essentially pioneered the "grow through acquisitions" route among today's Technology firms, with high profile acquisitions like Youtube and Android. The strategy is to acquire companies with great ideas, develop them & operate them independently, while still integrating them with your services. While Mark Zuckerberg claims that they don't plan to "do many of these", it just makes a lot of sense for a company like Facebook. From #1 above: "Even though Instagram does not give Facebook an immediate revenue boost, its user base can be monetized more easily than that of Facebook." I've never used Instagram. Please explain this to me. At the very core of it, you just need to understand two things - app layout and app speed. Anyone who's used the Facebook app knows its considerably cluttered. How would you put in ads without compromising on app usability. In addition to that, ad codes tend to slow down an app, so your app needs to be running pretty fast without ads. Facebook's entire app needs to be overhauled if it needs to be monetized. Instagram on the other hand is ready to be monetized. Interesting perspective. It would go against what Zuck said about keeping Instagram independent, but companies/CEOs lie all the time. If they do pull something like this off and it succeeds, it could really reshape the mobile landscape.